Legal research in minutes NOT hours! 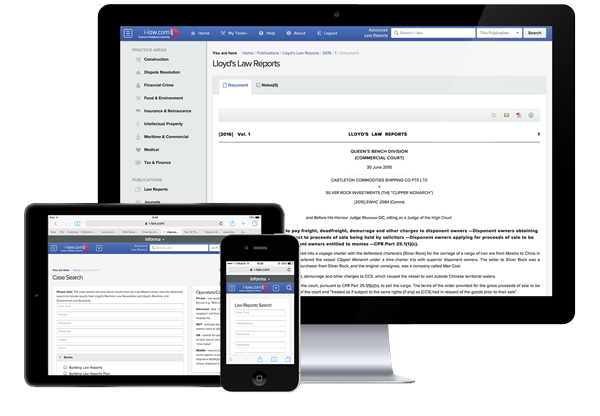 Legal research can now be done in minutes; and without compromising quality. i-law is a vast online database of commercial law knowledge. It contains thousands of pages from many trusted legal sources. Sources that top lawyers and companies rely on daily.